When I first opened this fabric bundle from Poppie Cotton and started going through the prints in this Prairie Sisters line, I was first drawn to the adorable chicken prints and the deep rich brown-black fabrics. 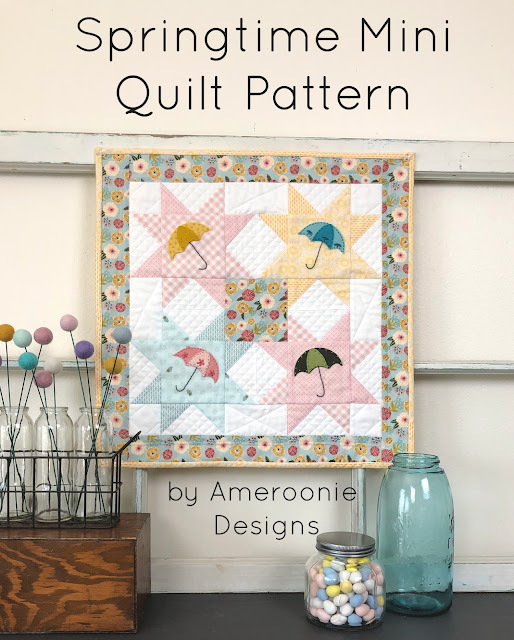 But, then I started looking closer, and these wonderfully soft pastel hues just begged me to be turned into a mini quilt. 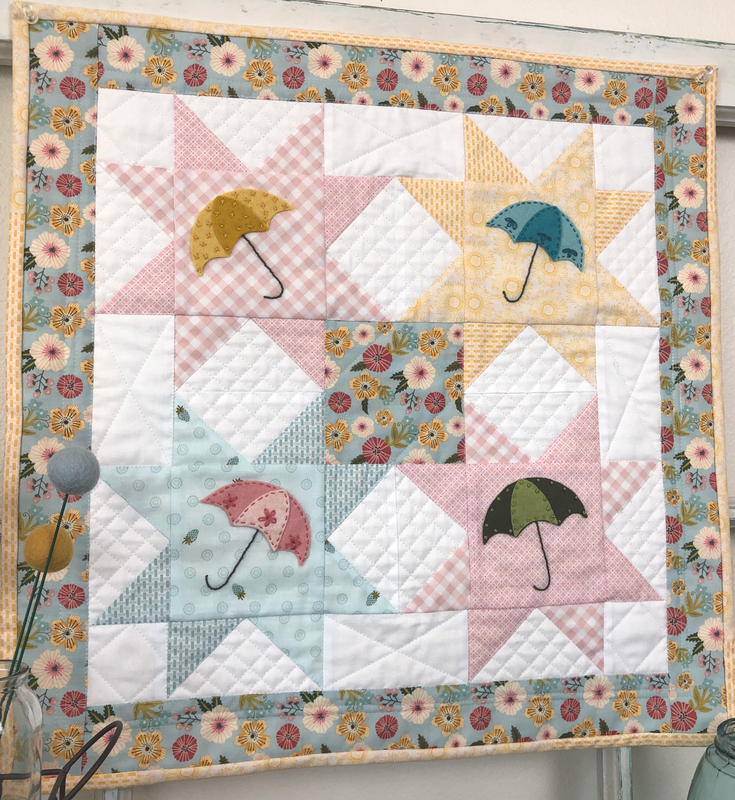 I decided to remake this Springtime Mini quilt from last year and I absolutely LOVE how it turned out! 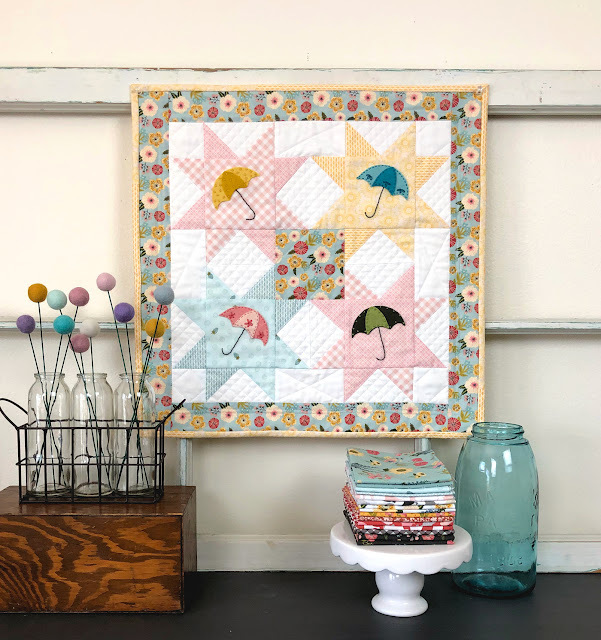 The first version of this quilt that I made is bright and scrappy and bold, but this year I am totally swooning over the softer pastel colors and this fabric did not disappoint! I decided to simplify the arrangement of the fabrics as well, and kept the stars monochromatic and I totally love the feel of it. 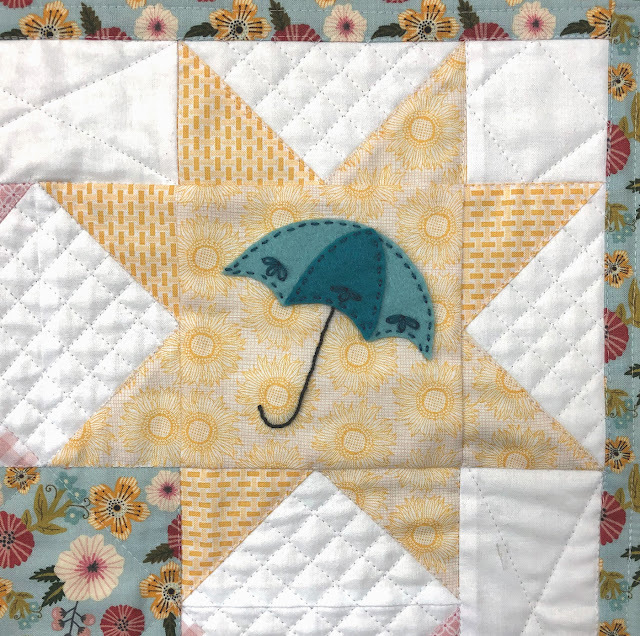 I decided to still do the umbrellas in wool blend felt, but you could also applique them out of fabrics if you wanted to. I can totally see a darling gingham umbrella, can't you? The assembly instructions are all the same as the previous post here. 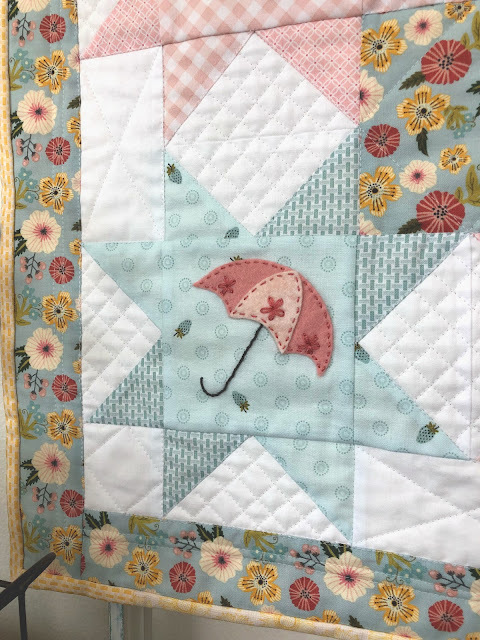 The embroidery detail on the umbrellas just makes me so happy! And can you even stand the darling strawberries? SO cute! 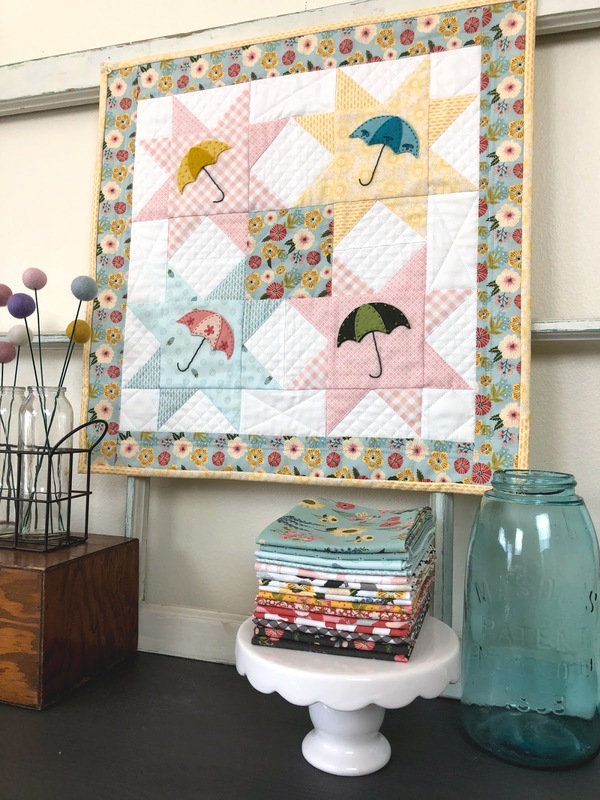 This is a pretty, quick, darling project you could easily make in a weekend!